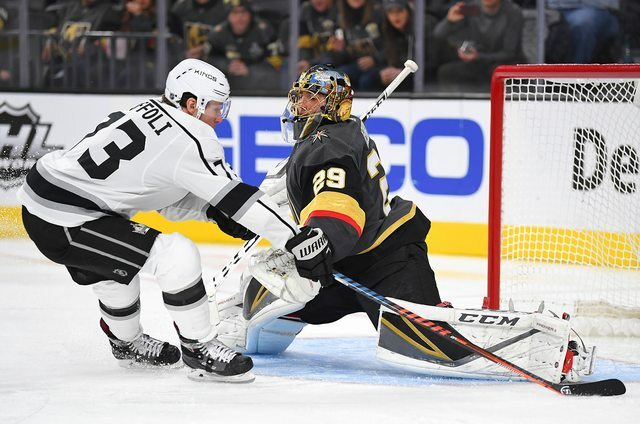 Now that the NHL's All-Star festivities are over, the Golden Knights have three more days to rest up for their final playoff push. With 30 games left to play, playoff position is far from finalized. Regardless, it would take a significant implosion for the Golden Knights to miss the playoffs. They are currently sitting in third place in the Pacific Division, 10 points ahead of the 4th place Vancouver Canucks. 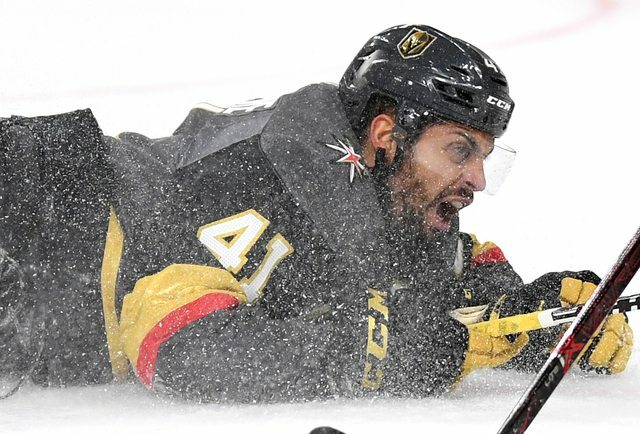 Looking back on the first 52 games of the season, the Golden Knights went through many ups and downs. 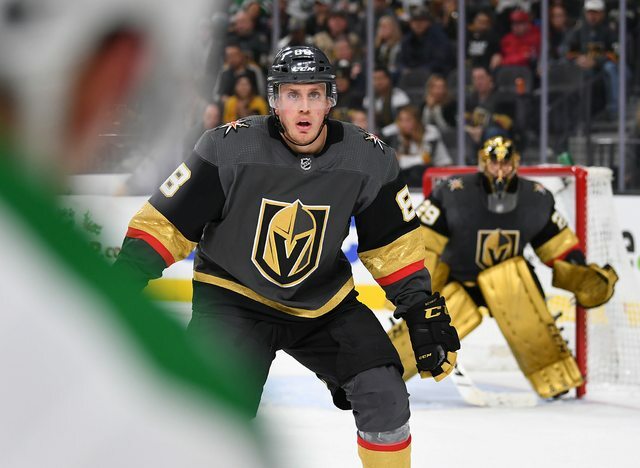 Vegas was forced to play their first 20 games without number one defenseman, Nate Schmidt. In those 20 games, the team finished with a 8-11-1 record. 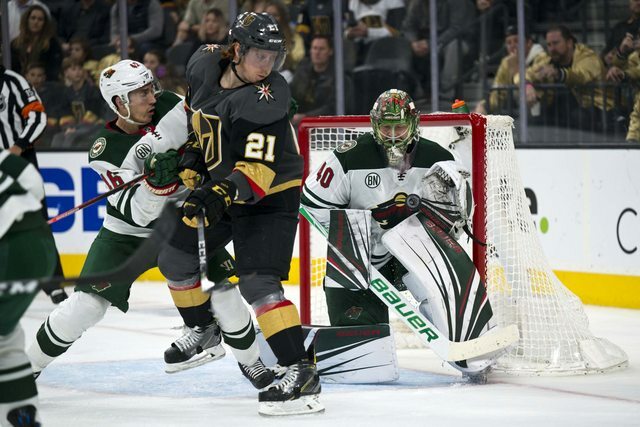 During that time and in the next 32 games, the Golden Knights suffered injuries to Alex Tuch, Cody Eakin, Max Pacioretty (twice), Paul Stastny, Erik Haula, Colin Miller, and Reilly Smith with recent illnesses to Shea Theodore, Malcolm Subban, and William Carrier. So how did Vegas get to their current 29-19-4 record and third place position? Put generally, multiple players have "stepped up", filling voids left by injured and suspended players. 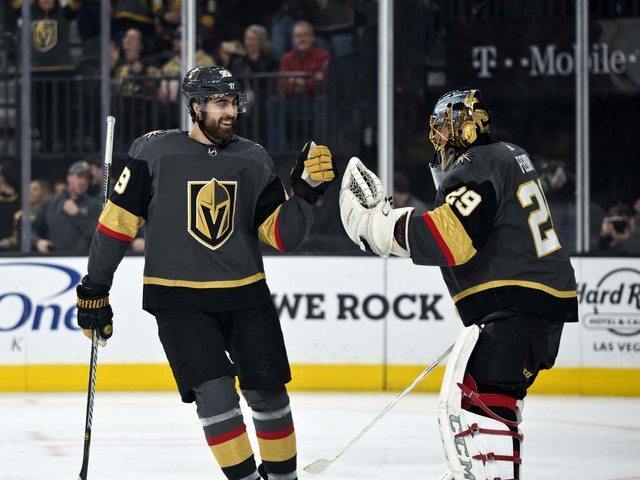 Essentially, the Golden Knights have benefited from a great supporting cast of players, riding the momentum of their spectacular inaugural season. Before the team gets back to action on February 1st, here are my personal Golden Knight mid-season award winners. Now this one was a tough award to call. Tuch has been a part of the best line of the season for Vegas, in its multiple deployments. 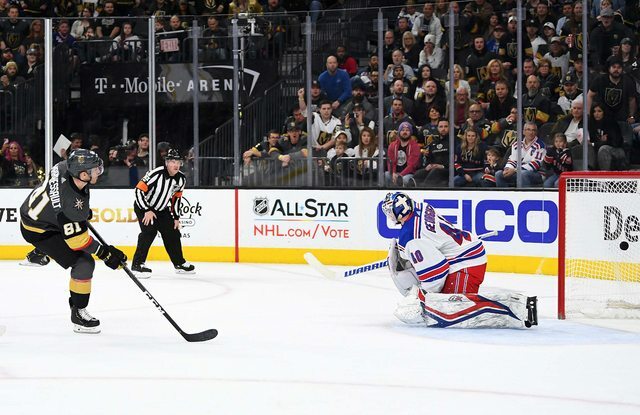 Tuch has played alongside Max Pacioretty and Paul Stastny, Pacioretty and Cody Eakin, Stastny and Brandon Pirri, and even spent a few games on line one. Each iteration of the second line was successful, largely due to Tuch's versatility and skill. Nate Schmidt was a close second, due to the significant boost he gave the team, following his 20-game suspension. Although he missed 20 games to start the year, Schmidt fills a huge role on this team as the de-facto number one defenseman. Schmidt plays all situations (PP and PK) and does so with a level of consistency that is important for a team like the Golden Knights. Alongside Brayden McNabb, Schmidt is able to work the offensive zone, joining the rush when he sees fit. Cody Eakin has a reputation of being a good defensive-forward, that can chip in on the offensive side of the game. Eakin is great on faceoffs and very responsible in his own end. On multiple occasions, you can find Eakin picking up forwards the defensemen have lost track of. Additionally, his work on the PK is extremely valuable to the team. Pierre-Edouard Bellemare and Paul Stastny were also strongly considered. Bellemare is the type of player that teammates love to have. He isn't selfish and revels in his role as a penalty killer and fourth line center. When asked about his PK abilities and partner, Bellemare himself told me, "We would all like put 70 points for the team, but we don't, so we know that one of our roles is to be able to kill that 35 to 45 seconds when it's our turn to do it and we put a lot of love into it." Bellemare has also never been one to shy away from a shot-blocking opportunity and has taken multiple pucks to the feet, chest, and even face. He embodies everything this award recognizes. Vegas' number one goaltender always has a smile on his face. He seems to genuinely enjoy his time on the ice, both with his teammates and with the opposition. Fleury can be seen joking with opposing players and even tickling their ears, just ask Blake Wheeler of the Winnipeg Jets. The NHL could use more bright, cheerful players, like Fleury. Jonathan Marchessault may be the most skilled guy on the Vegas Golden Knights. His line hasn't quite been the world-beater it was last season, but he still continues to produce at decent clip. Marchessault skates well, has a very good shot, and is also an above average passer. He is a big reason for the breakout of William Karlsson, together with Reilly Smith. Currently, Marchessault is second in points, only trailing Alex Tuch. These awards choices could change later in the season. Once the season ends, an end-of-season version will be written. Until then, feel free to post your mid-season award winners in the comments section below. Vegas' first game back from the break will be on February 1st, on the road, against the Carolina Hurricanes. The puck will drop at 4:30 Pacific Time. Be sure to follow me on Twitter (@VGK_Buzz) for VGK news, observations, and in-game updates.